This is a listing of Books, Articles, Recordings, and other media that are of interest for the moment. This was our June selection for the Trinity Book Club. I couldn't finish this overly saccharine account of the Mirabelle sisters, heroines of Dominican Republic. What is interesting is the role that religion plays for both the heroines and for their nemesis, Trujillo, and indeed for the entire country. That, however, was not enough to propel me through the remainder of this book. Maybe some other time. When I saw this in the bookstore I immediately thought of the anonymous diary, published here as "A Woman in Berlin", an account of the fall of Berlin and surviving the Russian conquerors. This bares no resemblance, but paints the war in very broad strokes from a personal perspective. The title is a bit misleading in that the "bunker section" lasts but only a few pages. It does give, however, an insight in the mind of the German officer, determined to serve God and country. A military historian, however, would find this a better read than an ethicist. I've just started this one, and I find it generally intriguing. It goes well beyond a "history of religions" approach, by dealing with psychologies, and anthropologies, debunking a great deal of the "cultic history" that historians have used to anoint archeological findings. The author devotes significant time to "hunter-gatherer" speculation, that serves to make the reader think beyond the usual categories of religious history and studies. This one is enjoyable. This is the first book I've read by Malamud, and I found it quite compelling. At first the characterizations seemed somewhat stereotypical, but what is stereogype other than a partial reflection of the truth. What drove me through the novel was the transformation of the character (Frank), and the complexification of the character (Morris). Underneath the stereotypes of these men, and the women as well, there is a spiritual battle, that is nicely resolved in the destiny, or is it fate, that Frank effects. Perhaps it is so telling because we assign to the Jews a spiritual journey that is only informed by either the Holocaust, the Christian perspective, or the perspective of the Torah. It is Ida that functions as the Torah, always setting a moral boundry, and it is Helen who functions as Moses, always attempting to reach the promised land. Fundamental to all of this is the mandatory hospitality that is owed to the stranger - something that the righteous man (Morris) and the law (Ida) circle about, giving a sense of rabbinic casuistry and interpretation. That the stranger (Frank) embodies so many moralities makes the stew all that much richer. That these spiritual perspectives are embodied in the drudgery of a poor grocery store, and the lives that are ensnared there, is the genius of Malamud's prose and storytelling. 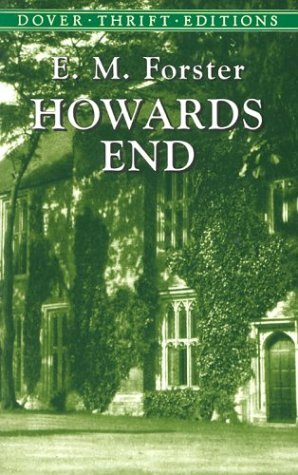 The Trinity book club is reading E. M. Forster's Howards End for their meeting in March. After having been besotted with the Merchant Ivory film for years (I watch it at least two, if not three, times a year) it was time to read the book. While the film comes off as essentially romantic in nature, the book has a more decidedly social tone, that addresses the future of England. Embedded in this social-political froth is a portrait of Germans without the scrim of WWII. 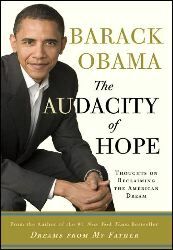 As I got on the airplane to return home from Providence, I looked in the seatback pocket and there someone had left Barak Obama's Audacity of Hope. I'm not much for political vanity press, but this one seems to have just been dropped in my lap. I'll report later as to how much time I devote to this volume. This one I actually purchased at the Boarder's in Boston's Logan Airport. 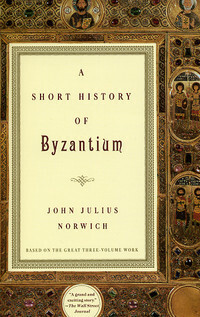 I have the three, or is it four, volumes of John Julius Norwich's History of Byzantium, but have never found the time to wade through them, except to look at the photographs and maps. This seemed like a good introduction to see if I really wanted to spend the time. I devoured a hundred or so pages on the plane, and can't wait to pick it up again. It's worth it! While bumming around at Grace Cathedral, following a session for newly placed priests and deacons, I went into the bookstore (once so grand, and now a mere shadow of itself) just on the off chance that I might find something interesting - and there it was: Liturgical Directions. It is an interesting comparison to what I was taught by the "High Church Mafia" at Concordia Seminary in Saint Louis, and does provide some cogent rational for gestures, etc. Now that I are one, it's good to know how to at least look like good Episcopal priest. Published by the Cowley Fathers, this is an authentic resource for practice. I downed this one right before supper. On my way on certain Thursday evenings from my old standby French restaurant, Bistro Clovis, over to Symphony Hall, I pass by a used bookstore, Bibliohead, on Gough Street. I usually stick my head in to see if something is calling my name, and there it was, Peter Green's new translation of Jason and the Argonauts, complete with critical index. How perfect for a some-time scholar of the Bible. Now to just find the time to read it. I first saw this volume at the old "A Clean, Well-Lighted, Place for Books" (sorely missed) on Van Ness Ave. It's now a Books Inc., which isn't bad. (Their store at SFO, puts everything else to shame - it's wonderful). On our way to a movie, I didn't want to schlep a book around, and so ended up buying this at the Books Inc. in the Castro on my way to dinner with my friend Tom Tragardh. Considering my thoughts about the ballet, noted elsewhere, this book is a fortuitous find. 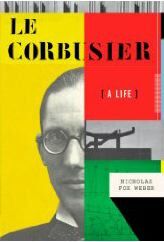 I'm looking forward to finding the Le Corbusier that hides in his work. We are really blessed in San Francisco with the Asian Art Museum. Gai Aulenti (Musée d'Orsay) did a wonderful job in taking a beaux artes library and turning it into an inviting and stimulating museum. The Afghanistan exhibit was wonderful, and reminded me that this dusty place only known to us now as a place of war and cultural genocide, was once a cross-roads of the world. The catalogue weaves history, photography, and descriptive materials into something that makes sense for those who don't know the history of the place. Intended by some for their coffee tables, I think this one is a bit more challenging, inspite of the National Geographic logo on the cover. I'm looking forward to browsing this one. Ever since my friend Barton introduced me to serious Italian cooking, I have loved this woman. Here recipes are bright and approachable, and her use of ingredients and adaptability to American markets makes them all atainable. Here recipe for Pork Braised in Milk is something next to heaven. 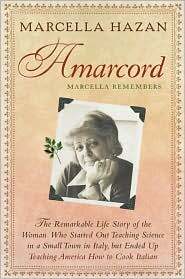 In this book I'll get to learn all about her, and how she developed as an author and wonderful cook. Thanks, Arthur. The final book that I received, which aroused no small amount of emotion in me, was given to me by Robin Ressler, and Michael Callahn. Both were members at Saint Francis, and most recently have been worshiping at Trinity Church in San Francisco, were I am an associate priest. 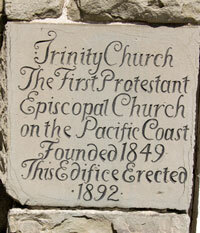 The book, A Prebyterian Clergyman Looking for the Church, is by The Reverend Flavel Scott Mines, rector of Trinity Church, unofficial missionary to California, poet, and author. Now that I'm a member of the tribe, this will be a chance to know the history better. What a surprise from Robin and Mike! Why can't I shake this guy. Each telling of really the same story by this guy becomes intriguingly new and different. As in Nabokov, the reading can expect astounding images. As in Eco, one can expect to find detailed information about something you never thought would be interesting. As in Updike, you will find an intricate story. This is my train reading for the next few days. Being educated in the Lutheran Church - Missouri Synod, I was always taught the essence of anyone doing theology, or the history of religions, but then was given multiple reasons for ignoring their work. I've learned to give that practice up and to assess the author's work for what it is, or presumes to be. 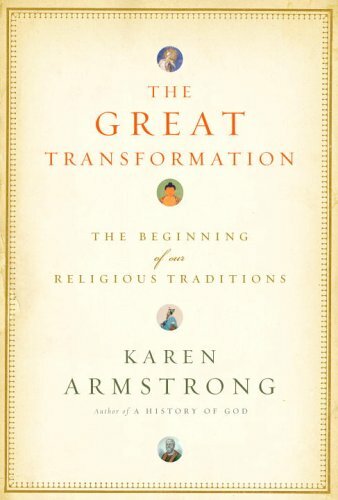 Karen Armstrong always strings together developments, facts, history, archaeology, art, and religion in an amazing strand of change and evolution. This seems to be a simple and appealing book about what we mean by "myth", a disarming essay for those who think "myth = deception". I wish I had a Bible study group again. We'd dive into this one right away! 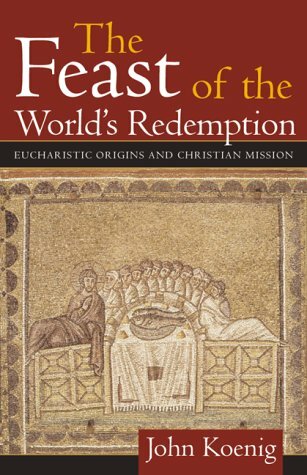 I've only begun this book, which attempts to study the intents of Jesus' institution of the Holy Eucharist. John Koenig is a Professor of New Testament at the General Theological Seminary in New York, and wants us to see the Eucharist as not only the faithful gathered around the Table of Thanksgiving, but as also the table that invites and sends people out in mission. 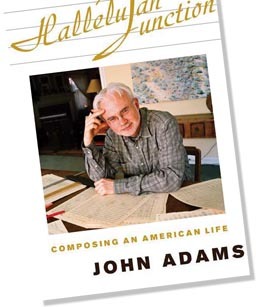 I first saw this book at the bookstore at Grace Cathedral, and then again saw it in the collection of Saint Aiden's Church in Bolinas, California. On the strength of those two appearances, I bought it as a part of my Anglican Reading Program. It is only mildly frustrating in that the author sets up several straw men to shoot down, or too easily declares that his argument has been won, and we can move on to the next point. It's historical and theological points could use a bit more skepticism. He seems to love wrestling with the Jesus Seminar people, but doesn't really take them on seriously. None-the-less, I am intrigued by his mission premise, and am hoping that it might serve as an aid in making a Eucharistic theology that supports mission and not just devotional life, or self-centered spiritual goals. Tom Harpur is a former Anglican priest, who is trying to be Bp.John Spong, but not quite making it. Tying various types and archetypes one to the other does not a strong argument make. I got half way through this book, and put it down. It is, in a word, just silly. It is not a part of my Anglican Reading Program. Karen Armstrong could squash this guy with her little finger. This is, I suppose, the mother of A Short History of Myth, noted above. 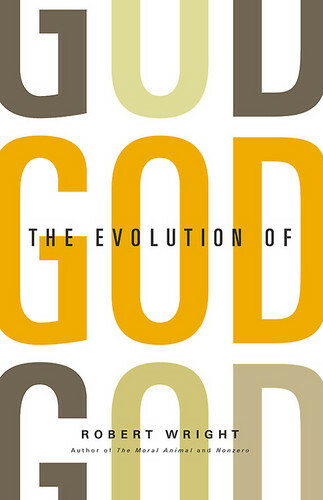 And it continues a trajectory that Ms. Armstrong began with her A History of God. It also continues a line of inquiry that I first began to know in the writings of Elaine Pagels, namely The Origin of Satan, and others of her books. One also gets the sense of this book in Gore Vidal's Creation, in which the main character has interactions with Zoroastrianism, meets the Buddha, and Lao Tzu. Ms. Armstrong discusses the great ideas and prophets of the Axial Age, and then follows the development of their thought. 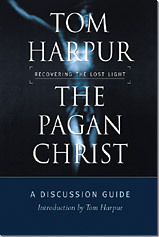 It is interesting background work for anyone who loves the History of Religions. I haven't decided whether to just read through the whole work, or to use it as a reference volume. My daughter Anna got me this book. For that reason alone I must read it. She is writing her dissertation in the Spanish Department at the University of California at Berkeley, and she is an astute student of all things Spanish, from Teresa of Avila to Lorca. I trust her judgment here. Aside from that, the author seems to spin a lesson from history that runs against the sensibilities of our own times. One visit to Alhambra, and you find your 9/11 prejudices beginning to melt. Is suspect that Dr. Menocal will give further cause and opportunity for me to sit back, learn, ponder, and rejoice. It will nicely complement Karen Armstrong's book above, and having just completed Andrew Wheatcroft's The Habsburgs, it will further my insights into their Spanish domains and world. This book takes a character that I always thought of in a theological context and places him squarely in the midst of the city's politics. In the past I've read a couple of books on the Medici, and others on the architecture of Florence. 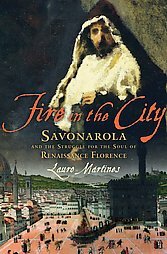 This book is fascinating in that it describes what storms blew around the Medici, and what happened in some of the marvelous architecture of the city. The book is not parochial, nor could it be. The politics of Europe swirl around this city-state, and in them we can see future winds of revolution, reformation, and change. I've not completed this book, but it has already aided me in my understanding of the French kings, and of the Austrian and Spanish Habsburgs. I am reading this book in honor of Charles Spomer, Ralph Klein, and the other professors under whose tutelage I discovered the Ancient Near East. I recall with joy The Ancient Near East, Volumes One and Two, which began to weave the tales that formed the people of the ancient near east, and that contributed to the collection of spiritual literature that I count as home. In these collections I discovered the "Story of Sinue", upon which was based one of my favorite "Sword and Sandals" pictures, The Egyptian. 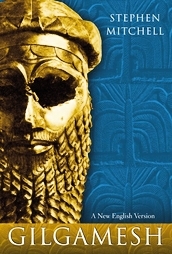 To have a new translation of the great epic of Gilgamesh, is an opportunity to approach it once again, and to hear its metaphors, and imagine its images in a new way. It is for me, a continuation of the reading I am doing in Karen Armstrong and Elaine Pagels. This volume was presented to me on the Feast of the Transfiguration by the people of God at First Lutheran Church in Palo Alto. I had just completed a study with them of the lectionary texts (RCL) for the Sundays after the Epiphany. I promised to come back and lead them through this volume as well. Jaroslav Pelikan is a name known to Lutherans, but certainly known beyond their circles. Late in his life, he honored his ancient traditions and returned to Orthodoxy. It will be interesting to read Acts, and to see the book from the vantage point of his old and his new eyes. 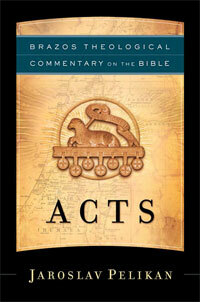 This was the first volume in a series of commentaries edited by R.R. Reno. With the passing of Fr. Pelikan, we cannot expect further insights, but can rejoice in what he offers here. This continues Dr. Ehrman's studies of the development of what he would call "Christianities". 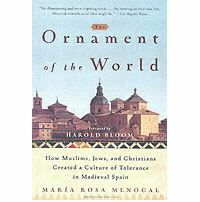 It is a topic that stirs some of our western world, as Marcus Borg and others take us to places that have been long forgotten or ignored. As my daughter moved back and forth on what her dissertation topic might be she landed briefly in the area of translation theory. 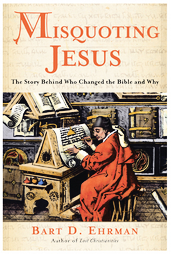 For many raised with the notion that the Bible has descended unchanged in intent and program through the centuries, the notions of translation theory, scribal bias, and suppression are threatening. It is John Spong who has been teaching the church that we need to face up to this sooner or later. I am looking forward to this continuation of Dr. Ehrman's work. Along with Lost Christianities and Lost Scriptures I am certain that it will give me the distance and perspective to help me look at my own faith, and my own developing sense of what it means to be a Christian.